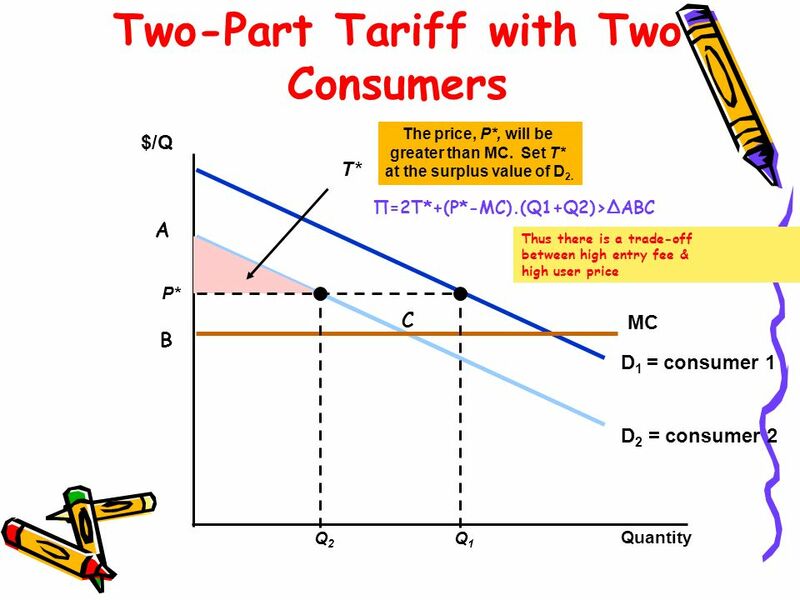 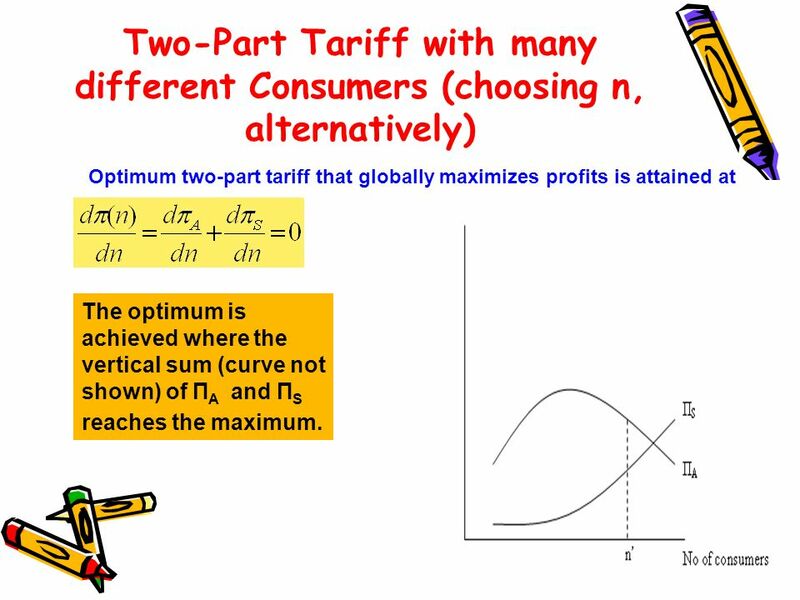 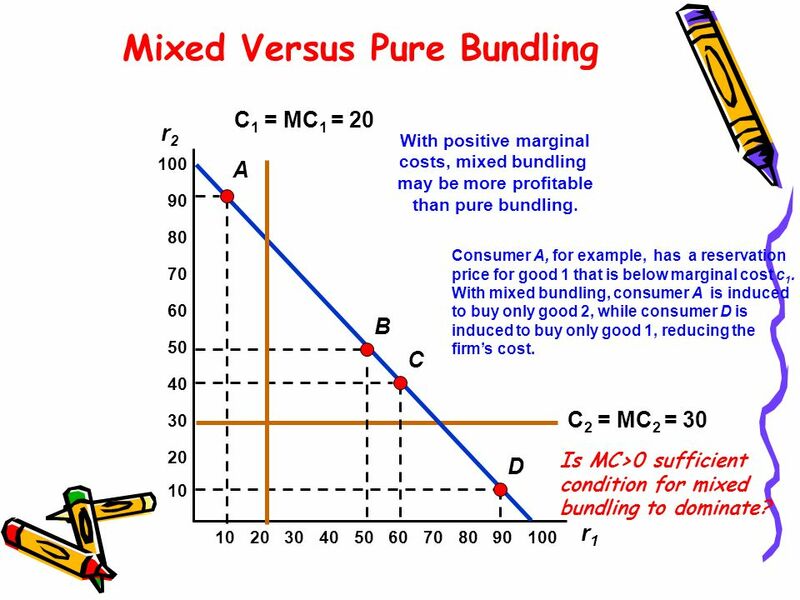 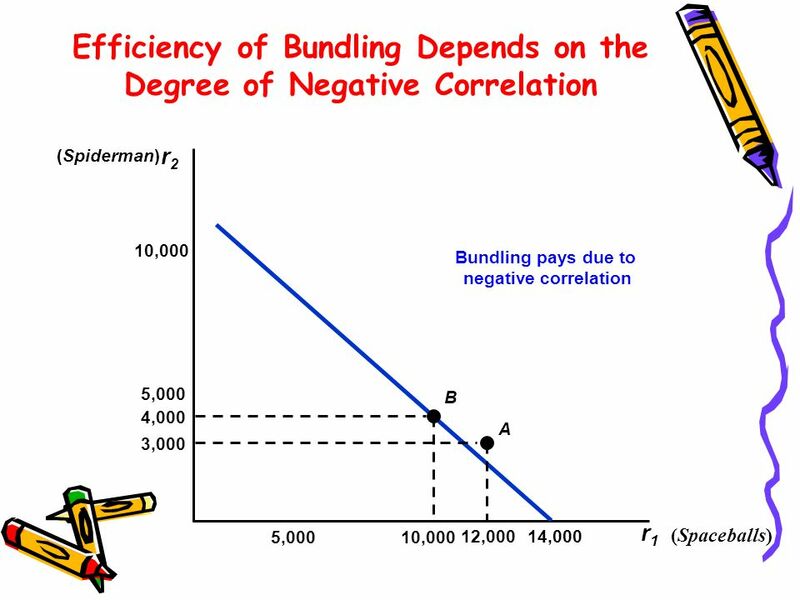 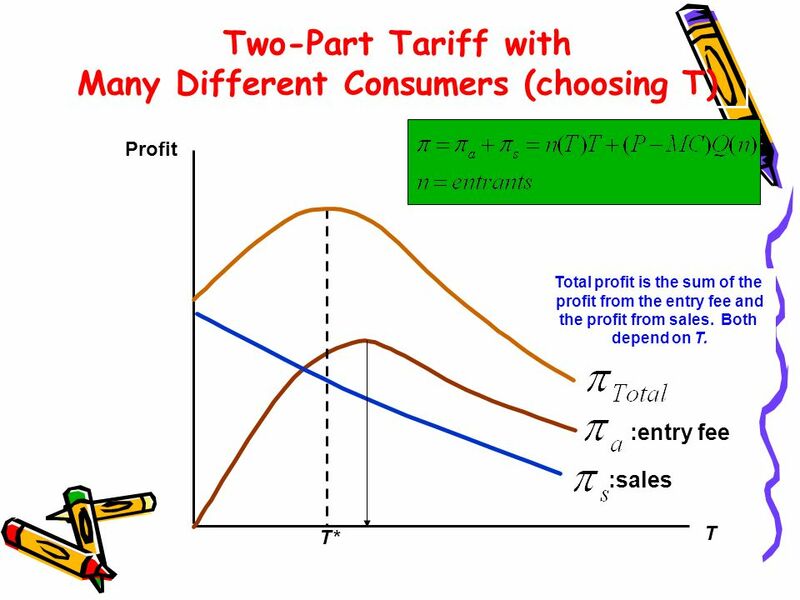 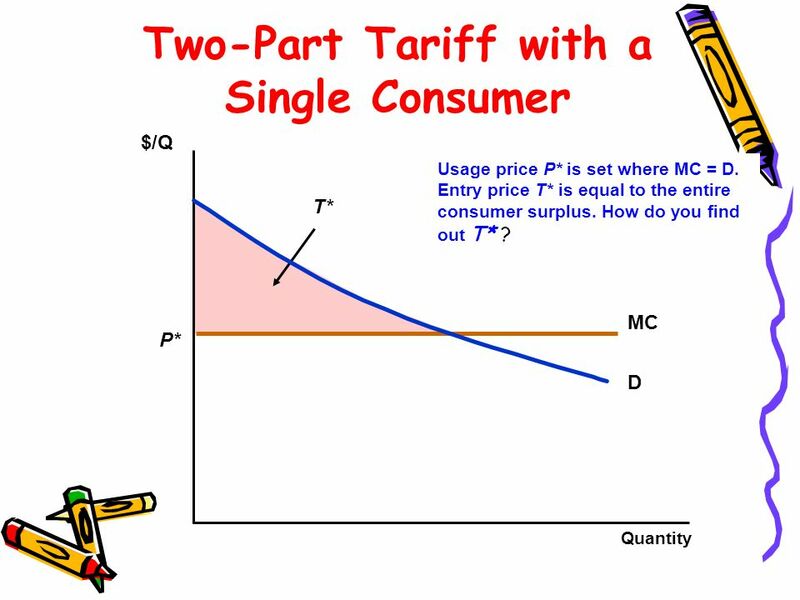 Optimum two-part tariff that globally maximizes profits is attained at The optimum is achieved where the vertical sum (curve not shown) of ПA and ПS reaches the maximum. 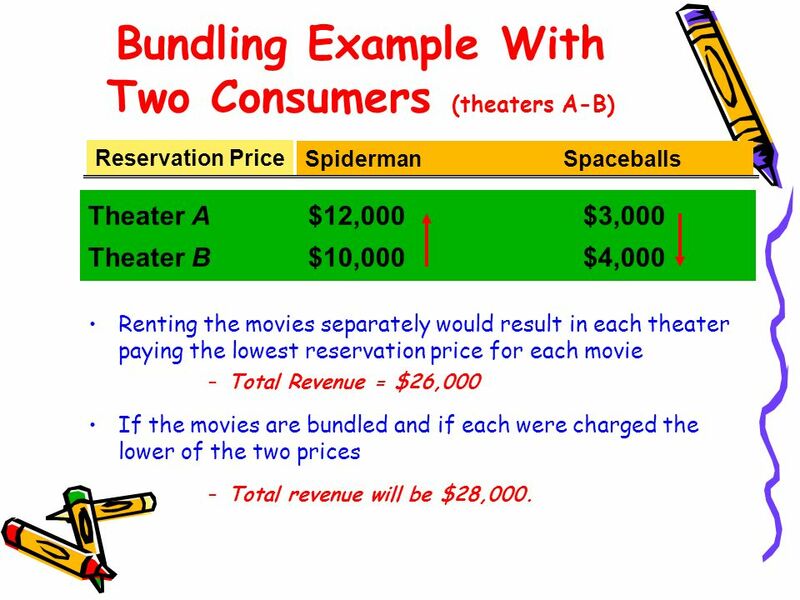 Reservation Price Spiderman Spaceballs Theater A	$12,000	$3,000 Theater B	$10,000	$4,000 Renting the movies separately would result in each theater paying the lowest reservation price for each movie Total Revenue = $26,000 If the movies are bundled and if each were charged the lower of the two prices Total revenue will be $28,000. 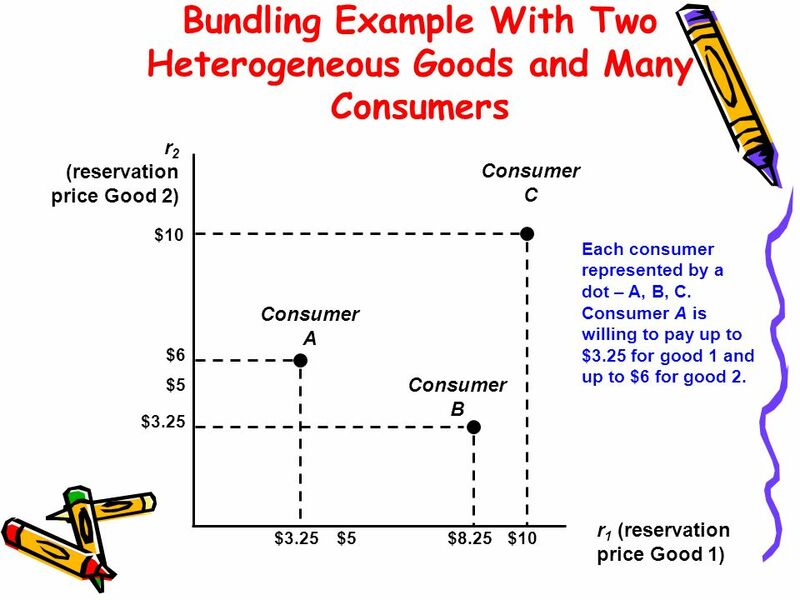 If the demands were positively correlated (Theater A would pay more for both films as shown), bundling would not result in an increase in revenue. 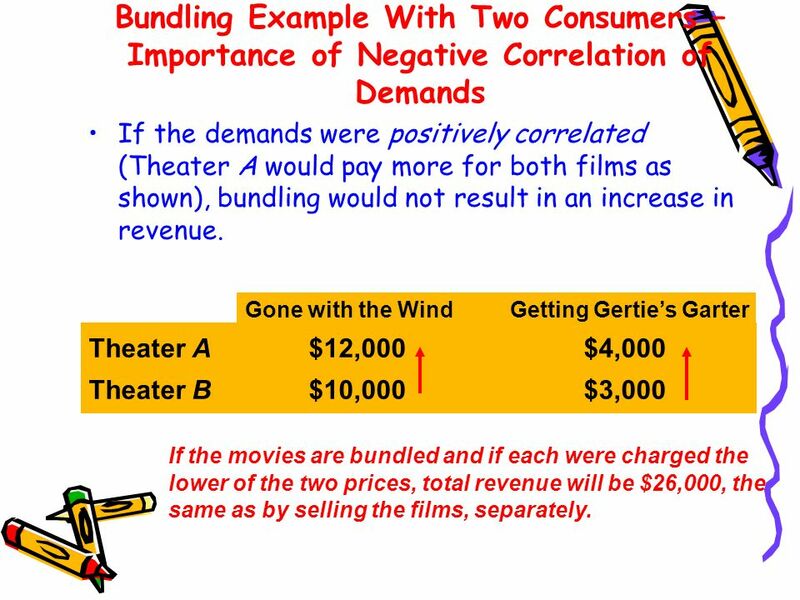 Gone with the Wind	Getting Gertie’s Garter Theater A	$12,000	$4,000 Theater B	$10,000	$3,000 If the movies are bundled and if each were charged the lower of the two prices, total revenue will be $26,000, the same as by selling the films, separately. 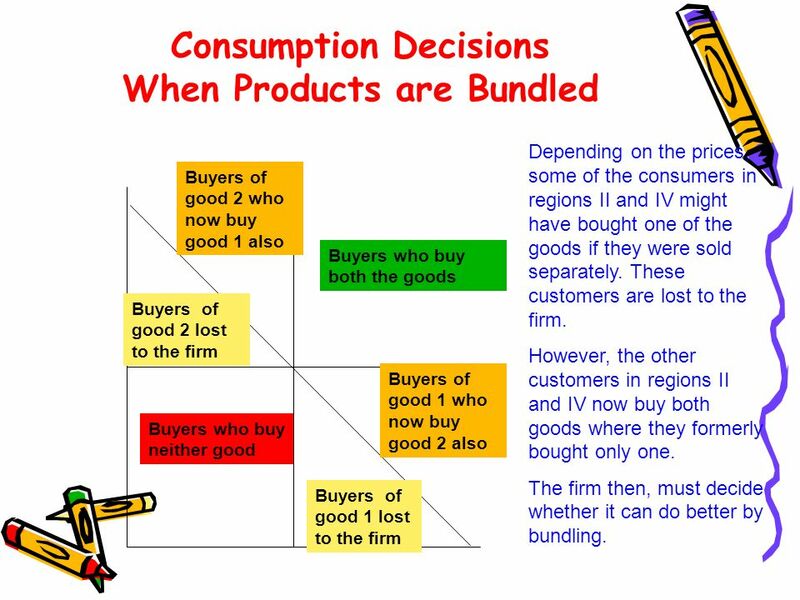 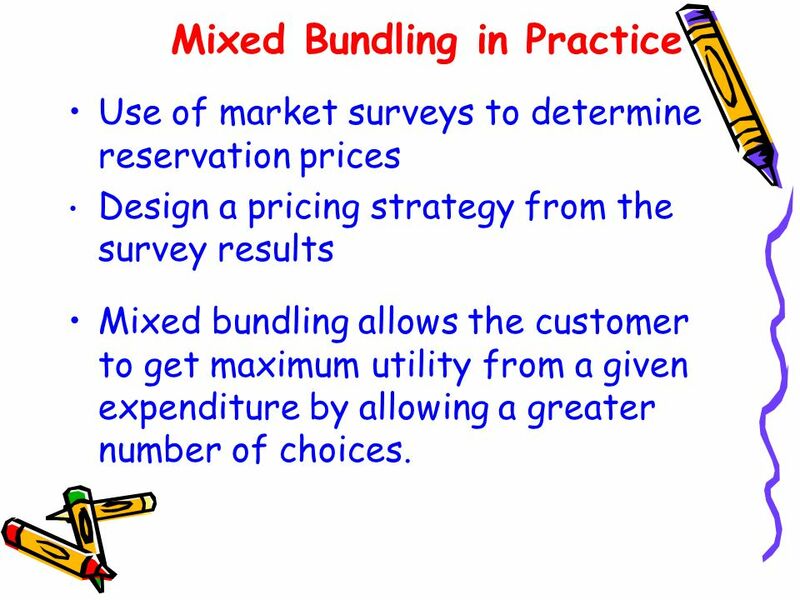 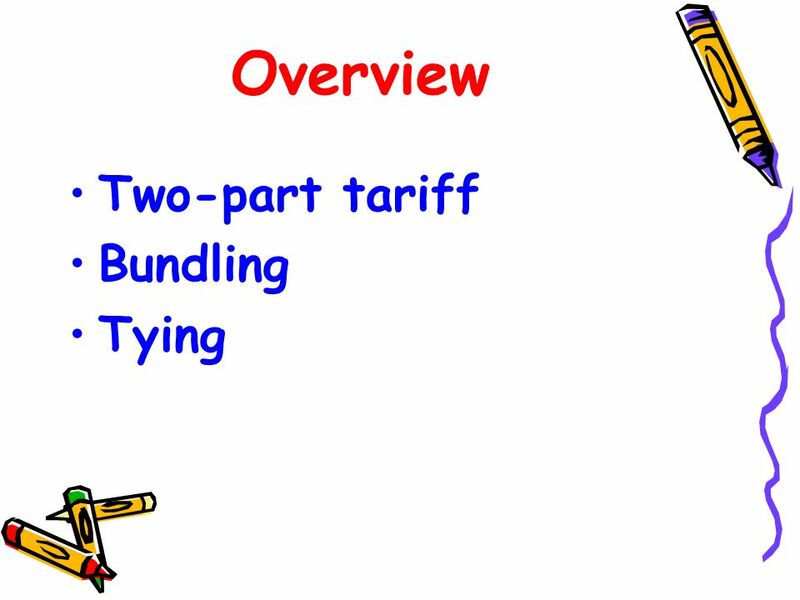 22 Tying Practice of requiring a customer to purchase one good in order to purchase another. 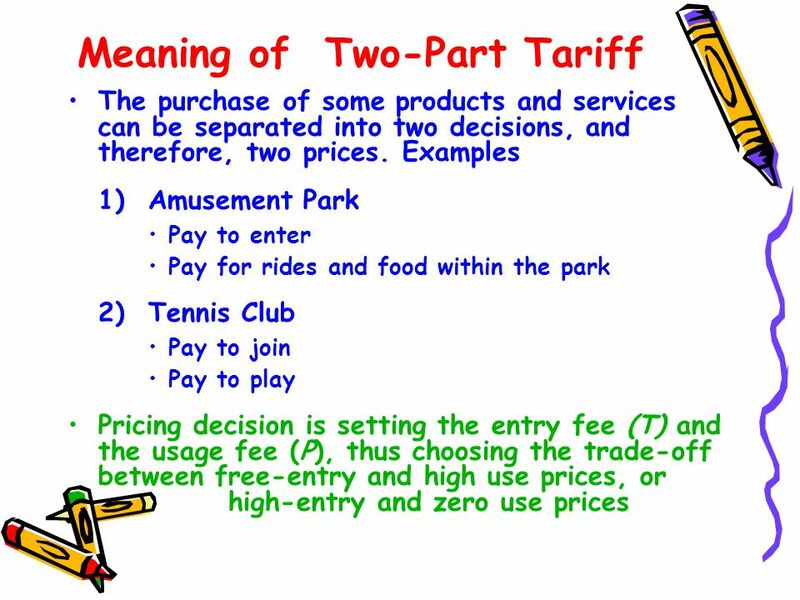 Allows the seller to meter the customer and use a two-part tariff to discriminate against the heavy user Examples: Xerox machines and the paper IBM mainframe and computer cards Renting out tractor along with driver Rural moneylenders providing credit against sale of output and/or input purchase (even land leasing-in) contract Is tying necessarily ‘exploitative’? 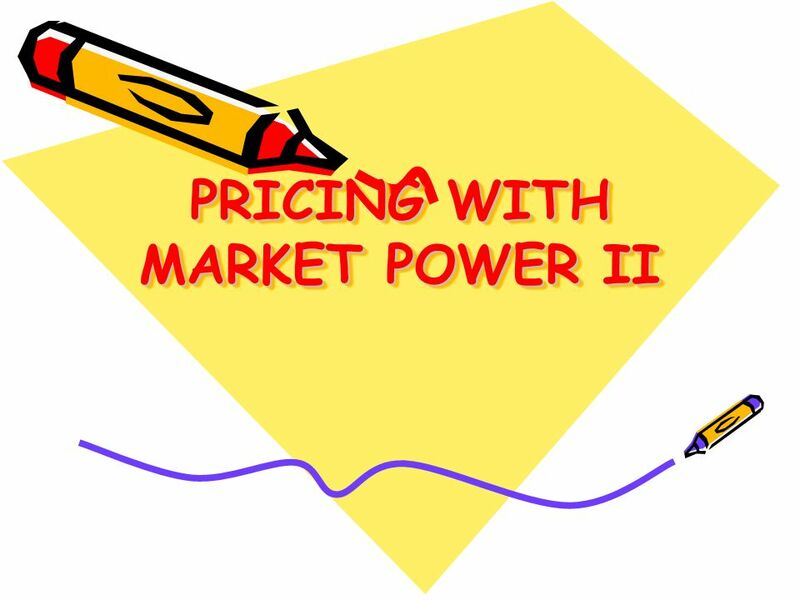 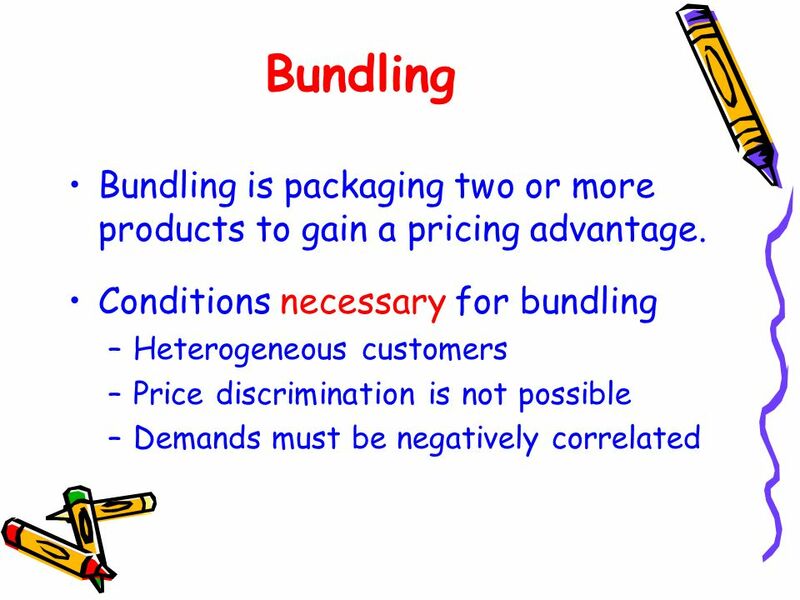 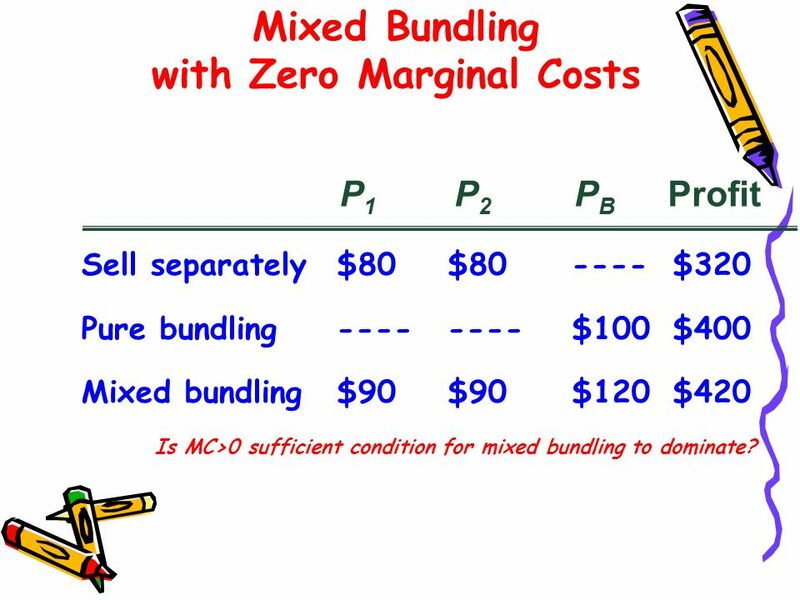 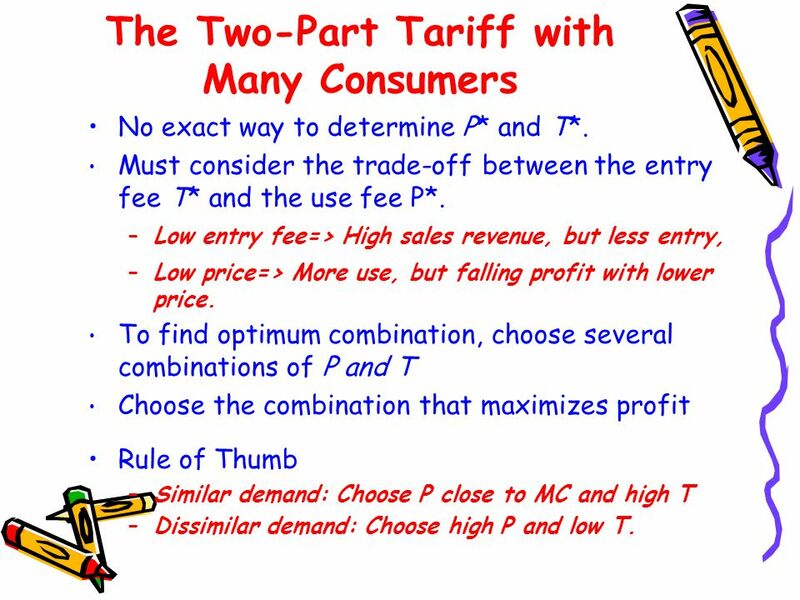 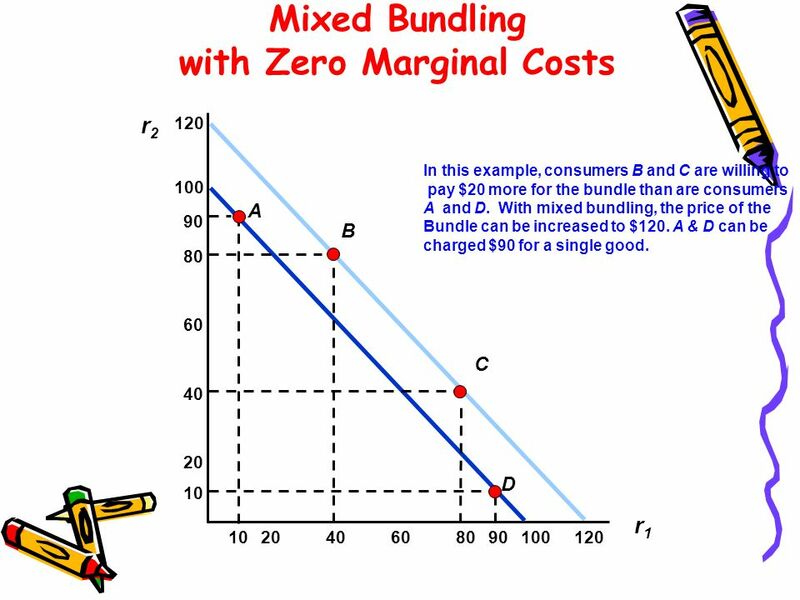 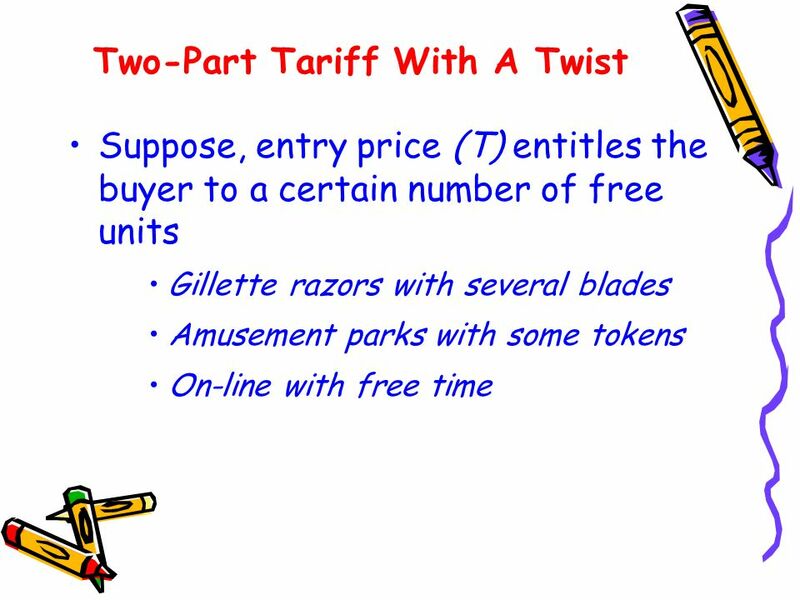 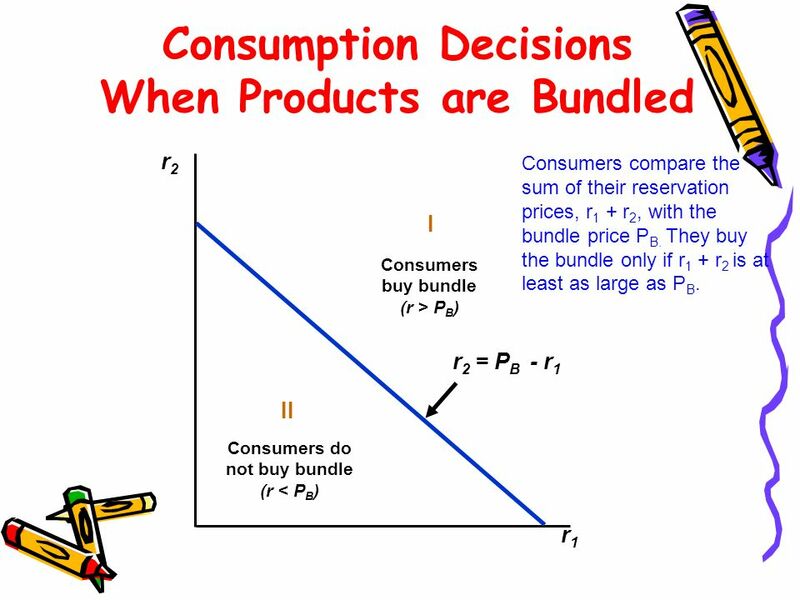 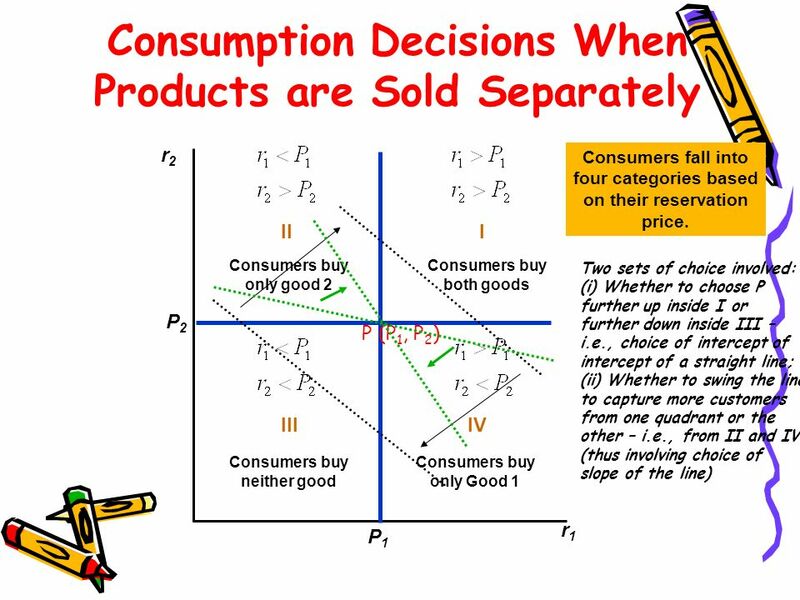 Download ppt "PRICING WITH MARKET POWER II"
+ Lecture 5: Price Discrimination AEM 4160: Strategic Pricing Prof. Jura Liaukonyte 1.